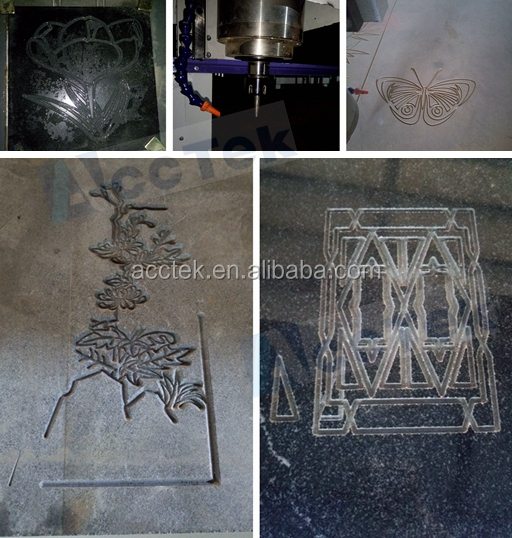 Granite, marble, Qingshi, sandstone, and other stone carvings.Granite and other hard stone carving to be at level 5 mm. Marble, Qingshi, can be a sculpture to 5 mm. 1. 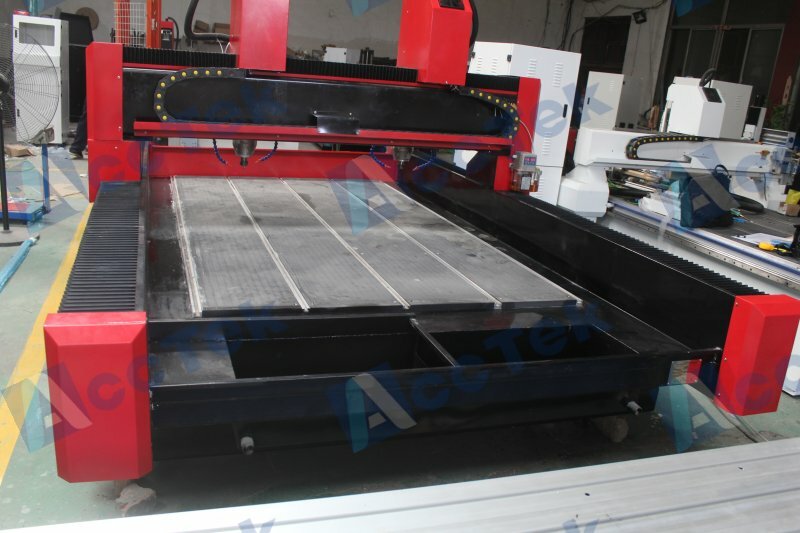 Welded lathe bed of profile steel, stabilizing treated under high temperature. 2. The bed height is lower for put on the heavy stone easily. 3. Y axis with double motors to drive that ensure stable and precise performance. 4. 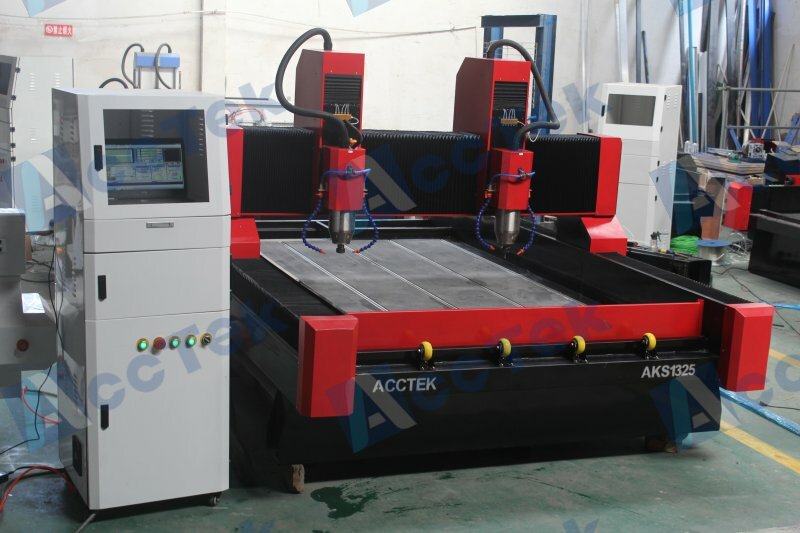 This machine adopt high precision rack and pinion transmission and Hiwin linear square guide rail way ensure high accuracy,fast speed,heavy-duty with long service life. 5. 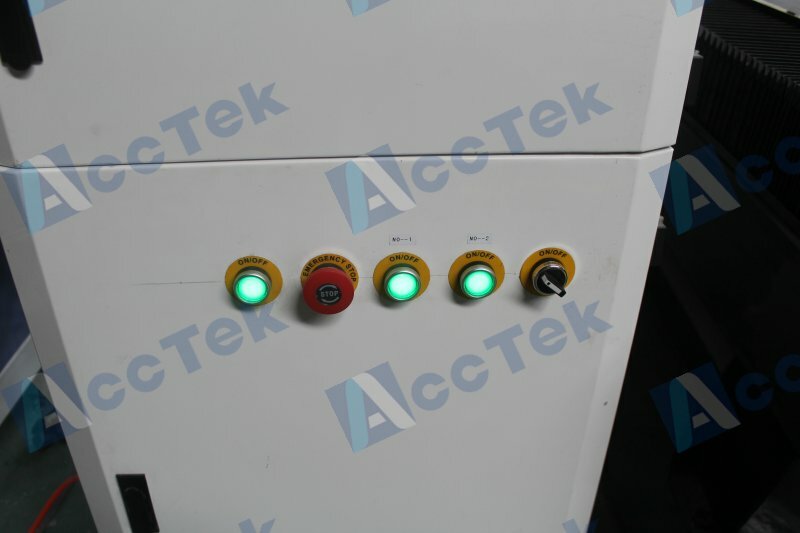 Feeler block make the machine working more precisely. 6. 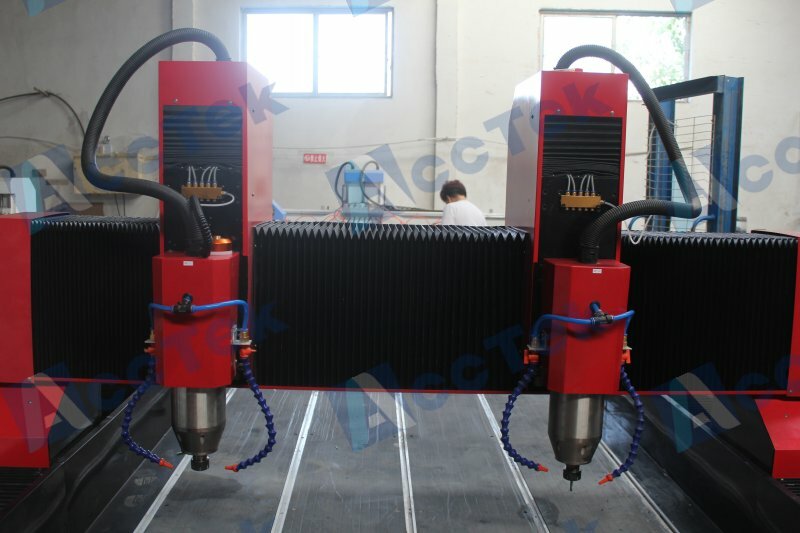 T-slot worktable with clamps can hold the workpieces tightly. 7. Tank wall is stainless steel in case of being rusty while touch water. 8. 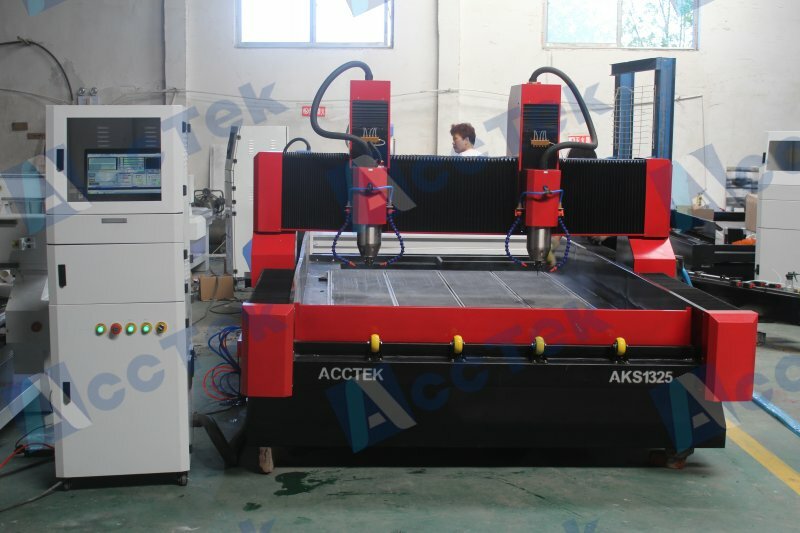 Dustproof and waterproof design of all axes give full protection of the machine’s transmission parts. 9. 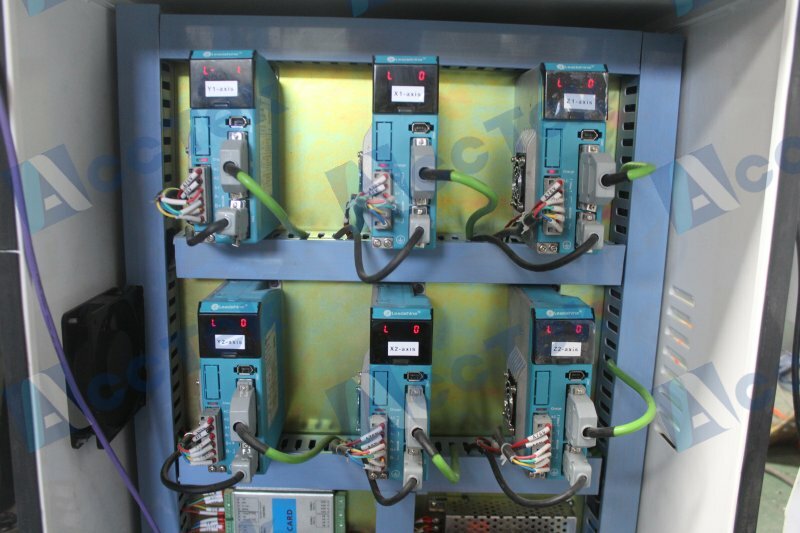 3.0kw-8.0kw spindle is optional. 10. 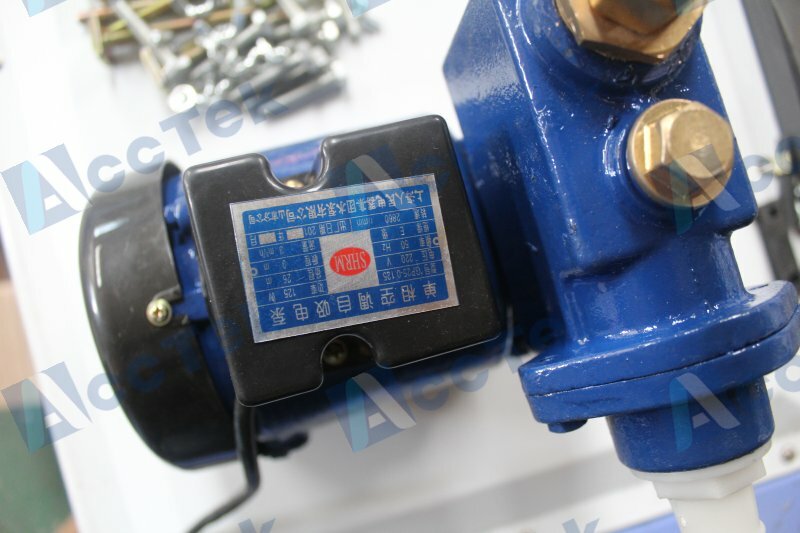 Rotary device for cylinder materials is optional. 11. Software compatibility: compatible with Typ3/Artcam/Castmate / Wentai, and other CAD / CAM design software.